Meningitis is the inflammation of the protective layer surrounding the brain while Encephalitis is the inflammation of the brain itself, this is the only minor though the important difference between the two. Meningitis and Encephalitis are the two main kinds of neurological conditions related to the brain and spinal cord, where the layer surrounding the brain get less or more inflamed. Both the medical conditions are among the scariest one affecting the nervous system. Main cause can be a bacterial or viral infection in meningitis, while the bacterial infection is a serious one in meningitis. Encephalitis is caused due to viral infection and is an acute disease. These diseases may vary from mild to fatal conditions in terms of severity. It becomes important to diagnose all the conditions for the reason to follow proper treatment and further prevention to these infections. Encephalomyelitis is another condition, where inflammation of the brain and the spinal cord is involved. Although in the given content we will be discussing meningitis and encephalitis separately along with their causes and types. Meaning Menigitis is the infection to the outer layer of the brain, which protect the brain and spinal. Encephalitis is rare and acute inflammation to the brain itself. 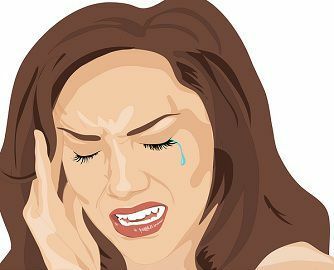 Symptoms/Signs Headache is most common, along with vomiting or nausea, skin rash or discoloration of skin, high fever, stiff neck, confusion, double vision. Headache, joint pain, irritabilty, fever, lethargy, seizures, behavioural changes. Cause It is due to Bacteria, Viruses and Fungi. It is mainly due to Virus. Forms Only single form. Two forms: Primary and Secondary form. Presence of rash Skin rash or discoloration of skin is common. No rash. Diagnosis It is examined through blood test. It may need neuro-imaging techniques or CT Scan or MRI. Treatment Ampicillin along with aminoglycosides or cephalosporin are given. 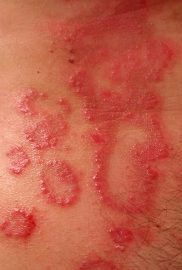 Treated with Acyclovir. The membrane that surrounds the brain and spinal is called meninges, while the infection to this part is called ‘meningitis’. This infection falls under two categories which are either Bacterial infection or viral infection. The viral meningitis is less severe and can be eradicated from the body within two weeks and is not a serious problem than bacterial meningitis. Viral infection is also season specific and occurs usually between late summer and early fall. This infection is most commonly seen children under the age of five, and peoples under the age of thirty. There are many forms of meningitis like syphilitic aseptic meningitis, aseptic meningitis, staphylococcal meningitis, cryptococcal meningitis, gram-negative meningitis, pneumococcal meningitis, H. influenza meningitis and meningococcal meningitis. Common symptoms include Headache, vomiting or nausea, high fever, confusion, sleepiness, sensitivity to light, skin rash (for the person having meningococcal meningitis). Meningitis may also result in cancer, known as carcinomatous meningitis. Encephalitis is the inflammation of the brain, which is a viral infection and results in damage to nerve cell, brain as well as intracerebral hemorrhage, ultimately leading to cerebral edema. 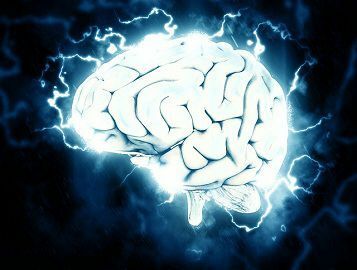 This rare though serious condition is the acute inflammation of the brain. Commonly skin-to-skin contact, intake of contaminated water and food, insect bites, are the common cause. This infection is most commonly occur in infants and elderly people, with weak immune system. Symptoms include joint pain, headache, rash, double vision, muscle weakness, seizures (abnormal brain cell activity). There are two forms of encephalitis, which are the primary and secondary type, in primary type infective organism directly enters the brain while in secondary type infectious agent enters the organs before entering the brain. It is curable within 2-3 weeks but can be life threatening too. Mainly caused by Herpes simplex virus type 1 and 2, rabies virus, enteroviruses, Nile virus. People with the weak immune system are at higher risk of getting infection especially primary infection and similar to meningitis. It can be spread through nasal discharge, close contact with saliva, feces. Electroencephalography (EEG), CT scan or MRI is diagnosed by techniques to carried out to reveal abnormal waves in the brain. Meningitis is the infection caused by bacteria or virus, on the protective layer of the brain, while Encephalitis is the kind of viral inflammation occurring in the brain itself. Meningitis is mainly caused by bacteria or virus – like H. influenza, pneumonia, meningococcal meningitis, etc. ; whereas Encephalitis is caused by a virus like herpes simplex virus type 1 and 2, Nile virus, enterovirus, etc. Symptoms and signs include a headache, skin rash, nausea, high fever, confusion, sleepiness and some time may cause carcinomatous meningitis (kind of cancer) also; a headache, muscles weakness, seizures, double vision are the symptoms/signs of the encephalitis. Encephalitis is of two forms which are primary and secondary, while Meningitis has no forms. Meningitis is usually diagnosed by routine blood test, whereas Encephalitis is diagnosed by MRI, CT Scan or neuroimaging techniques. Meningitis is treated with Ampicillin along with aminoglycosides or cephalosporin; Encephalitis is treated with Acyclovir. As these diseases are very dangerous and life threatening too, hence few precautions like washing hands properly and timely, following hygiene habits, etc. should be maintained. Also, a person with the weak immune system should avoid coming in contact with the infected person. Effective vaccines like H. influenza, pneumonia, pneumococcal meningitis, etc are easily available, which can be given to the patient after diagnosis, which could reduce the risk of getting it more fatal.